Due to illness, we have not been able to post on Two Sisters From The Right on Blogger for several months. We had instead continue to post best reads and articles on our Two Sisters From The Right page on Facebook. Today we received an excellent editorial from a citizen journalist and attempted to publish it, only to find that Blogger has made several changes to the templates and format with which we are not familiar. This GUEST EDITORIAL is very worth reading and passing on to your friends. Citizen journalists such as the author of this editorial are our most important form of communication because it is not tainted by media bias. 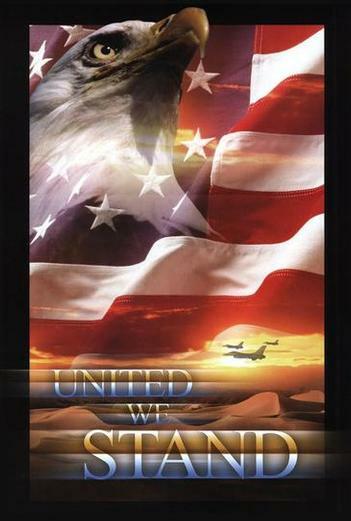 Our time is running out and we must unite in an effort to Take America Back and to Defeat Barack Hussein Obama. Two Sisters From The Right received this message from a friend and reader. He asked us if we could use it. We certainly can. This is what we and Andrew Breitbart called "citizen journalism" and we wish we'd receive more of it, on a regular basis. The Old Testament and New Testament both teach; Love thy neighbor as thyself. Today's health care ruling will allow a law to stand which will continue to raise your neighbor's health care premiums - if they are employed. Today's health care ruling will also make it more difficult for your unemployed neighbors to find work. The ruling will also leave a law mostly intact which will possibly cause your neighbor without insurance to pay more than they would have had to pay in order to afford a policy if the law were not enacted - or pay a tax instead. The law preserved today will sooner or later result in your elderly neighbor being denied certain medical procedures which their doctor believes to be medically necessary. The law will not likely help your uninsured neighbor find health insurance which is more affordable than was available before but can prevent your neighbor's employer from being able to offer certain forms of care which other neighbors already rely upon. The law will seem to legitimize a number of false claims made by the authors of the law including the false implication that this was the only way to get insurance for your neighbor who has a pre-existing condition (such a policy could have been agreed upon in a bipartisan fashion if the true goal of the law was to improve upon our current health care system). Instead the law will certainly increase the future national debt to be burdened upon your neighbor's children and will also eventually result in decreased access to quality care for your neighbor's children. The evidence for the above is so overwhelming that anyone who claims to be informed and yet continues to support the law is likely to be; subject to severe cognitive dissonance, excessively influenced by cult-figure hero worship, willfully suspending their disbelief of false claims made on behalf of the law, suffering from the emotional influence of identity politics or class bigotry, or simply hiding the fact that they only agree with the law on the basis that they are hoping it leads to a totally different health care system by undercutting the system which preceded the law (or some combination of these or similar factors). Given the last statement, out of compassion, we should pray for our friends who either still support the law or do not yet understand why it is so harmful. I am sure many of us were hoping the Supreme Court would do the heavy lifting for us so that the monumental task of educating many others in time for the November election would not fall so heavily upon us. On a positive note; If we had to choose between a better ruling today and keeping the same president we now have for four more years or getting rid of the current president while keeping this ruling, that would be an easy choice. I don't know about you, but I believe Providence has had a guiding hand in establishing this country for the betterment of the rest of the world and that being said, things could well be happening now for the purpose of waking us up and motivating us to do whatever is legally necessary to ensure that the liberties entrusted to us which have made this country strong will not be abated - at least not on our watch. There are 130 days until the election. That gives us 40 days of preparation followed by a season (90 days) of focused action. I pray we will be blessed with the strength and resolve for this task. It will not be easy. The proponents of this silly law will spend much money and energy in a deliberate effort to confuse and mislead our neighbors as to what the stakes truly are. It is not up to the Supreme Court to stop them. It is up to us. What the president is referring to, of course, are not cuts from today’s levels—let alone yesterday’s levels—in all of these programs, but cuts from the projected growth that would occur if the government were allowed to continue ballooning. There is of course lots about all this that is simply dishonest and false. The Ryan budget doesn’t call for across the board cuts. And that budget calls for the Ways and Means Committee to propose a revenue-neutral tax reform that would lower rates while eliminating loopholes—so it wouldn’t deny the government revenue it now has but would seek ways to obtain it that are more conducive to growth (and of course those loopholes benefit the wealthy above all). But the dishonesty is not the most extraordinary thing about this speech. The most extraordinary thing is the basic vision of American life it lays out: The president talks as though the liberal welfare state were not crumbling all around him, as though his budget does not abide (indeed, prescribe) an unprecedented explosion of debt that will crush American prosperity in the coming decades, as though all the money earned by all Americans were simply a pot for the government to spend as it wishes and allowing people to keep more of their earnings were just one way to spend it. He speaks as though the problem—our unsustainable entitlement state—were the solution, and as though the solution—a budget that restrains the growth of spending, modernizes and reforms our collapsing entitlement and welfare programs to avert their collapse, and charts a path toward economic growth—were the problem. In this upside-down, inside-out world, Barack Obama accuses Paul Ryan of putting the future of America’s younger generation in danger and inviting American decline. A psychologist might call this projection. The president’s political advisors probably call it all they’ve got. Let us hope that voters will know what to call it this fall: reckless denial and cynical dishonesty from a failed president with nothing left to offer. Or, if we are lucky, perhaps the last straw. The above article appeared in THE CORNER on National Review Online. We're hoping that all readers pass this around to others. We certainly could not have said it better. 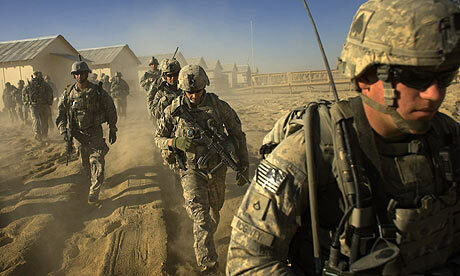 No one denies that the War in Afghanistan began in retaliation for the sneak attacks of September 11, 2001. What soon became known as Bush’s War became Obama’s War in 2009 when the newly elected president decided to escalate the war by sending more troops in an attempt to create a surge such as the one in Iraq. Unfortunately, the Obama administration was not as well advised or prepared to take this step. Obama launched the surge without any clear military strategy for the end of the war. When George W. Bush ordered the strikes on Afghanistan, most of us believed that his objective was to destroy the Taliban and to capture Osama bin Laden. We supported this objective and we supported our troops. 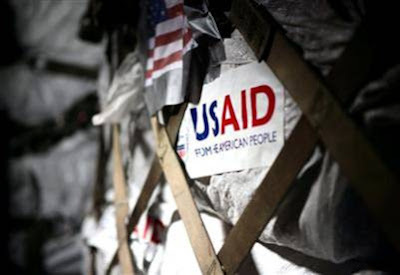 Although the eventual capture of bin Laden came during Obama’s tenure in office, he eluded capture because the Pakistani government protected him all along while pretending to be America’s ally and accepting American foreign aid. Bush’s failure came not in failing to capture bin Laden, but rather in attempting to “nation build” in Afghanistan. A cursory glance at the history of the Afghan people will show that for the most part, Afghans have for centuries been fiercely proud of their land, religion and ancestry. They value their independence, and their loyalty is first to their local leaders and their tribe. Afghanistan is inhabited by various ethnic groups who don’t share the same language, customs or traditions. The people of Afghanistan have never identified with national unity. It is ludicrous to attempt to force a Western style democracy on them because they will not accept it. Democracy and Islam do not mix well. The concept of a national identity is quite a fragile one for the Afghan people. Religion is the common thread that binds all these people. Islam is followed by almost all Afghans and it dominates much of their personal, political, economic and legal lives. Two Sisters From The Right believe that after 10 years of war it is time to begin withdrawing our troops from Afghanistan. Barack Obama’s timeline of 2014 for a complete withdrawal is simply not acceptable. 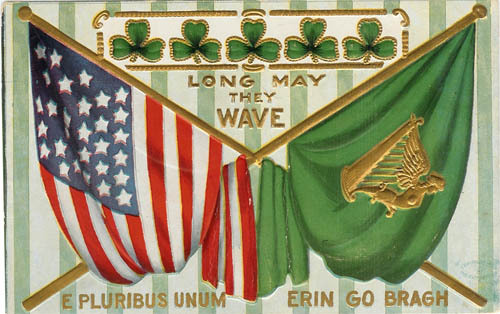 Enough American blood has been shed, and enough American lives have been lost in a country where it is obvious the people no longer welcome our presence, if they ever did. The reaction of the Afghans to the act of mistakenly burning a few Korans which had already been desecrated by other Afghans is a very graphic hint that religious zealotry is predominant in that country. That incident sparked a rash of violence among the Afghans which lasted several weeks. It resulted in 30 deaths, and afforded the corrupt Afghan President Karsai the opportunity to capitalize on the people’s rage and win approval points from his opponents. Two Sisters believe that Barack Obama should not have apologized to Karsai. A simple, “It was a mistake,” should have sufficed. Instead Americans appeared to be groveling for forgiveness. 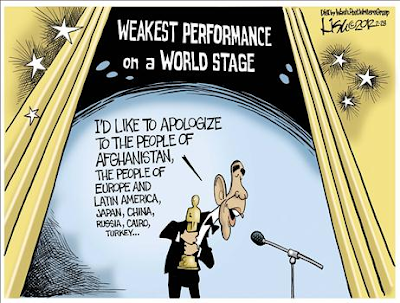 Obama’s idea of diplomacy seems to always come in the form of an apology, making the United States appear weak. The recent “massacre” of civilians by one soldier was a tragedy. Karsai’s calling for putting him on trial in Afghanistan is a travesty. Two Sisters agree that the soldier should be tried in a military court, and be taken out of the country as soon as possible. As tragic as the murder of women and children was, the Afghans reaction once again brought to the surface how the situation in Afghanistan is rapidly unraveling. As of April 2011, at least 858 U.S. soldiers had died in the Afghanistan war since Barack Obama took office in January 2009. That equals 60 percent of the 1,427 American soldiers killed so far in the 10-year war in that country at the time. Be it obstinacy or lack of military knowledge, the fact is clear that Barack Obama’s foreign policy in Afghanistan has been a complete failure. Just yesterday when Defense Secretary Leon Panetta, arrived in Afghanistan for talks with US and Afghan military leaders, there was an attempt on his life by a would be suicide attacker, yet at the joint meeting American Marines were asked to turn in their weapons and enter a room with hostile Afghans unarmed. This is how one of the most influential persons in the world is protected? Considering the fact that several Americans have been killed by their Afghan counterparts one wonders who was making the decisions there and why. 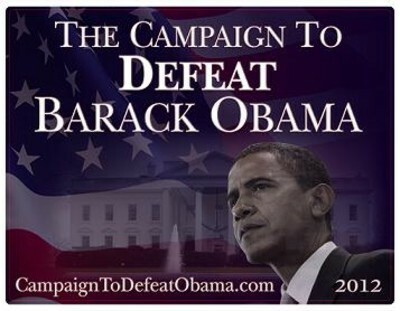 One reason that Barack Obama was elected was that he ran as an anti-war candidate. Yet, it was he who escalated the war in 2009. Ten years into the war, two thirds of all Americans want to see an immediate troop withdrawal. Two Sisters From The Right have always supported the American military, and it is because of our great respect and concern for them that we join with those who want to see an end to our involvement in Afghanistan. We won the war in Afghanistan. The Taliban was thrown out of Afghanistan and Navy Seal Team Six captured and executed the elusive Osama bin Laden. There isn’t any more to be gained by remaining there. Because of the recent and well publicized events and the escalating violence in Afghanistan, the issue of troop withdrawal has become a talking point with politicians. We reproach anyone in either party who uses the issue of troop withdrawal to attempt to gain votes. We are talking about human lives here, real patriots and American heroes who have put themselves in harm’s way in a remote corner of the world because they answered their country’s call to duty. Ten years at war is just too long. Instead of apologizing to Karsai we should be forcing him to clean up his corruption. We’ve given the Afghans the training and the tools to fight off the Taliban if that is what they wish. We’ve done enough. We’ve lost too much. The time has come to declare victory and to bring our troops home! We begin today's opinion piece with a brief lesson in Civics and Government. If any of our readers are like the Two Sisters, we need a refresher course every now and then. During the Obama administration we've seen our constitutional rights violated and in keeping with our ideas of what constitutes an informed voter, we avail ourselves of the material which is now so readily available to all. By the 1980s the fears that many held that the encroaching powers of the federal government would take away the sovereign rights of states became a great concern. President Ronald Reagan agreed with the public that the federal government was becoming too involved in state government affairs. As a result, a major focus of his administration was to reduce the size and power of the federal government. States were given more authority to experiment with policy initiatives, especially social programs, which had previously been directed from Washington. Which brings our discussion to the main issue we face today. Early in March, nine Republican attorney generals denounced the Obama administration's abuse of power. “You’re seeing now a federal government that’s doing everything in its power to circumvent the Bill of Rights,” South Carolina Attorney General Alan Wilson said during a press conference during the Washington, D.C. meeting of the Republican Attorneys General Association. “We are constantly being forced to sue the federal government to protect our states,” added Florida AG Pam Bondi. In July of 2010 AG Eric Holder and the Justice Department, filed a lawsuit in U.S. District Court in Phoenix against the state government and Gov. Jan Brewer (R-Ariz.), arguing that the new state law violates the Constitution by claiming authority over immigration policy, which has historically been the jurisdiction of the federal government. The law requiring voters to present proper identification in order to vote was enacted simply to prevent voter fraud. It is a law that is popular with most Texans except those Democrats who count of fraudulent votes for their election. Although voter fraud is prevalent throughout the nation, it is particularly significant here in Jim Wells County, Texas where we live. Texas Attorney General Greg Abbot, writes about voter fraud in Texas: "In Texas, AN EPIDEMIC of voter fraud is harming the electoral process and it's time we rooted it out. Of course, voter fraud is no newcomer to the Lone Star State. Six decades ago, the votes "found" in Jim Wells County's infamous Ballot Box 13 helped Lyndon Johnson squeak into the U.S. Senate. Maybe none quite so dramatic, but other instances of "election irregularities" on both sides of the political aisle have plagued Texas since that 1948 primary. And the fraud continues. Just since last summer, my office has been involved in prosecuting several voter fraud cases across the state. Last month, three people, including a Texarkana City Council member were indicted in Bowie County for illegally handling mail-in ballots for seniors and other voters during the November 2004 general elections." Holder's speaker in this case is Assistant AG Thomas Perez for the Civil Rights division of the DOJ. Claiming that the law discriminates against Hispanics, Perez boldly refutes the word of Texas AG Abbott stating that, "The department concluded there is little evidence of voter fraud in Texas warranting the legislative changes." As Texas residents we are particularly perplexed by a New Yorker's summation of voting conditions in Texas. The audacity to challenge the word of our own Attorney General is typical of the arrogance of the Obama administration. For those readers who are not aware of the new law, it simply requires voters to present a form of photo identification when voting. This can include a driver's license, a military ID, a U.S. citizenship certificate, a U.S. passport or a license to carry a concealed handgun. Acquiring a state issued Texas I.D. card is a very simple process and one that can be completed before the November election. The items needed are proof of citizenship and cash or a money order to pay the fee. The ID is obtainable at the Texas Department of Public safety and it takes very little time. The state of Texas, along with many others, requires a state-issued ID to check into a hotel, to board airplanes, to cash checks and to complete several other day-to-day activities. It is not much to ask that a picture ID be provided in order to vote. What is at stake here of course is that the law takes away the element of fraud from those unscrupulous politicians who would cheat their way into elected office. As of just a few weeks ago we were reading about irregularities that have surfaced regarding Barack Obama and the 2008 presidential elections. The Hispanic population is growing at a rapid pace. In states like Texas, the Hispanic vote will become more and more important for a candidate to win office. Democrats are terrified at losing this support. It is no coincidence that before this election, Holder is doing what he can to claim that Texas - led by Republicans - is trying to deny minority (read Hispanic) voters the right to cast a vote. We find it insulting to the Hispanic population of Texas to have Eric Holder consider them so gullible that they will fall for his ploy. Hispanics in Texas and other states are increasingly discovering that their philosophy of life and beliefs fall more in line with those of the Republican party and not the Democratic party of their forefathers who kept them under the thumb of the "patron system". This system did not permit Hispanics in Texas the upward mobility and personal independence needed to succeed, and which was richly deserved. Perhaps Eric Holder, Obama, and that entire Chicago backroom politics system under which they operate, need to take a serious look at the world around them and realize that people want to put an end to crooked politics. They are tired of being manipulated. The intention behind the Texas voter ID law is to eliminate voter fraud. Holder and Obama need to cease attempting to create problems among Texans. Their plot to pit Hispanics and non-Hispanics against one another will fall flat in a state where the lines which once divided them are being quietly erased. We have a saying in Texas, DON'T MESS WITH TEXAS. It started out as a campaign to stop littering our streets and highways, but it has become synonymous with our state. It is a strong message which conveys to those who would interfere with our state's sovereignty to back off and let Texans govern themselves. Link Savoie, a retired military, Korea / Vietnam veteran and a veterans advocate has written an excellent article for Daily World. We came across this article while researching the apologies that Barack Hussein Obama issued to the Afghan people after American soldiers mistakenly burned Korans which had already been desecrated by having writing on them, We agree with every word that Mr. Savoie has written. It had been our intention to just publish the cartoons and satire that Obama's apology has inspired, but this article was just too good not to share. "If they're to burn the Quran, we don't want them here. They will never be forgiven for betraying the holy book. "a statement of an Afghan police officer. That same police officer who turns his head now and spits when he sees a U.S. military convoy roll by. "I wish to express my deep regret for the reported incident. I extend to you and the Afghan people my sincere apologies," President Barack Obama's three-page apology letter to Afghanistan President Hamid Karzai. "It was fine to fight along-side the Americans. 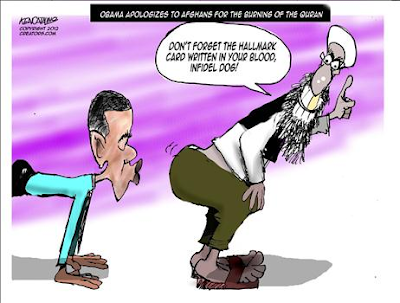 But, after the Muslim holy books were burned at a U.S. base, I detest them," a 25-year-old Afghan soldier said. on with business. We've got to create a situation in which al-Qaida is not coming back," a statement Ambassador Ryan Crocker gave to CNN. I wonder if Crocker is aware that these riots prompted the British and French to recall hundreds of international advisers from all Afghan ministries. They are concerned about the safety of their citizens. That is the attitude President Obama should have about the American military. The sad part of this entire situation is that President Karzai's demands are being met. He wants the American soldiers who are responsible for burning those alleged religious documents punished. 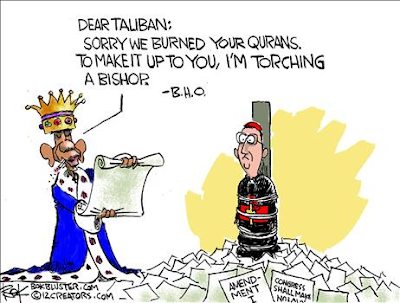 As quick as President Obama apologized to the Afghan people, an investigation by Marine Gen. John Allen, the commanding officer in Afghanistan, revealed that the Qurans inadvertently burned by U.S. troops were previously defaced with extremist messages and placed in an office. The books were mistaken for trash and taken to a burn pit and destroyed. The investigation by Gen. Allen indicated that the soldiers were careless "but there was no ill will. For the soldiers, it will be serious. They could lose rank or face reprimands." Since the Muslim religious material was mistakenly burned with other military documents on Feb. 20, six American soldiers were assassinated due to the burning incident. They were killed by a number of Afghan police and soldiers, or militants disguised in their uniforms who are turning their guns on their foreign allies. 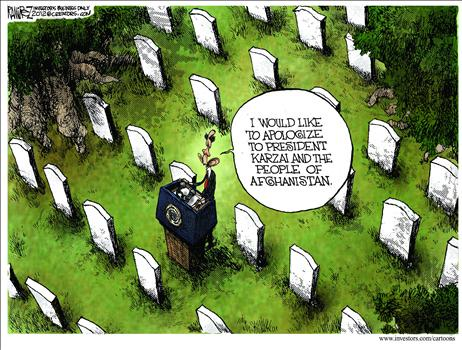 Not once did our administration demand an apology for the killing of our soldiers. 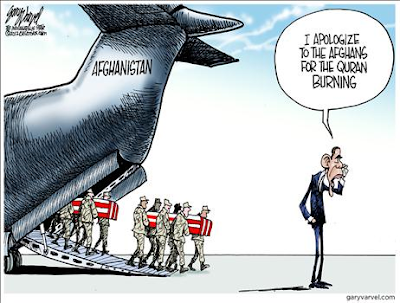 It is obvious that the Obama administration appears to care more about not offending the Afghans. So there it is, America. Everybody and his brother want the United States "occupiers" out of Afghanistan, our allies are dropping out of the fighting and furnishing support only. The only person who wants to remain in that country is President Obama and Crocker. Columnist Cal Thomas recently brought up a good point. Since President Obama has announced the deadline for the withdrawal of surge-level troops in Afghanistan for later this year, maybe it's time to pull all U.S. forces out now and leave Hamid Karzai to his fate. No matter how soon or how long we remain in Afghanistan, al-Qaida is patient enough to wait until the Americans leave and they will gain total control anyway. So what's the point in our troops remaining and continue to fight under restrictive and self-imposed rules of war while the enemy does not?